What makes an interior design cool? The name of the designer? The wow factor? Or an ingenious combination of functionality and appearance? Maybe all the aforementioned … Today we will find answers together by exploring 44 of the best 2019 designs for any room in the modern house. 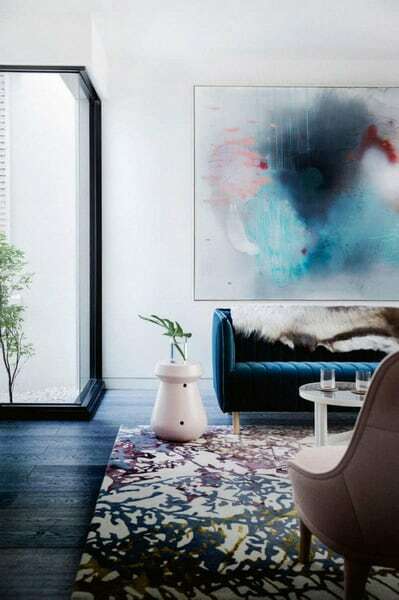 Let’s see what are the conceptual solutions of talented interior designers and what are their ideas on successful interior design trends in 2019! 8 What are the trendy textures in interior decoration of the kitchen? 11 A glazed summer kitchen that makes you dream! 30 The recessed seating area of the 60’s is back! Let’s start with the base. 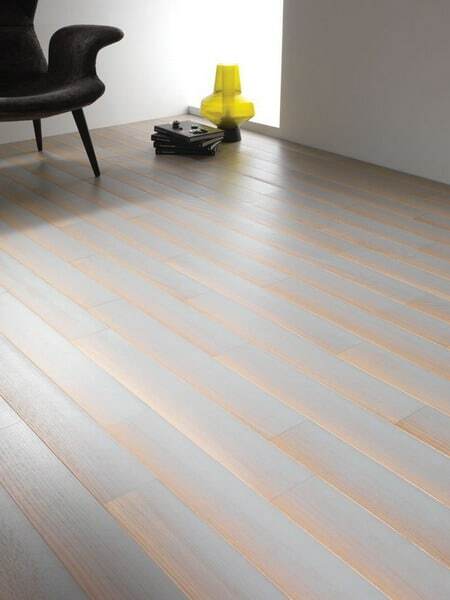 Flooring can completely change the look of a room, especially when the designer dares to think outside the box. 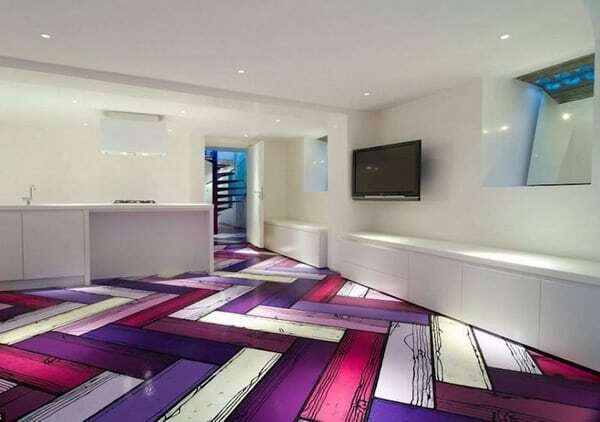 This artistic floor by Richard Woods is an indisputable catchy! With its wide blades in purple, magenta, lavender, mauve and ivory, the wooden floor creates a beautiful contrast with the immaculate white furniture of this minimalist kitchen! If such a bold floor is not your type, you’ll like the following idea. The company Diesel Living, in collaboration with the manufacturer of flooring Berti, has created a floor that seems to shine! It bears the name “Shadow” (English-Shadow) and thanks to a clever color scheme seems to be bright. 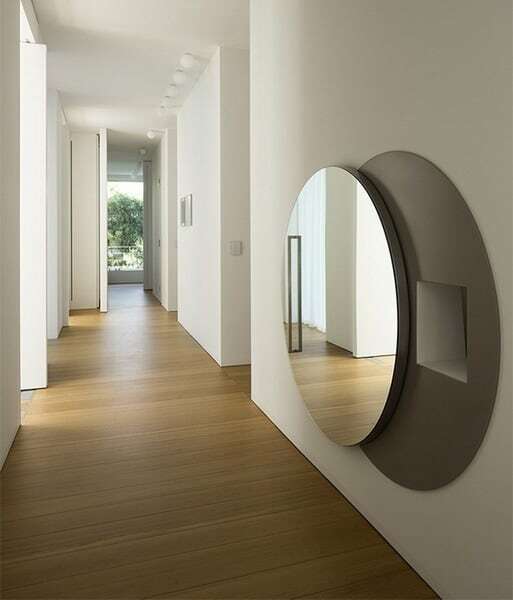 The urban gray and natural brown form a sober gradient that gives the effect of ambient lighting. The interior decoration of the ceiling is not to neglect either! Interior designer James Dawson decided to visually separate the kitchen from an open space, using abstract geometric patterns. The black lines perfectly match the monochromatic background of the entire apartment. 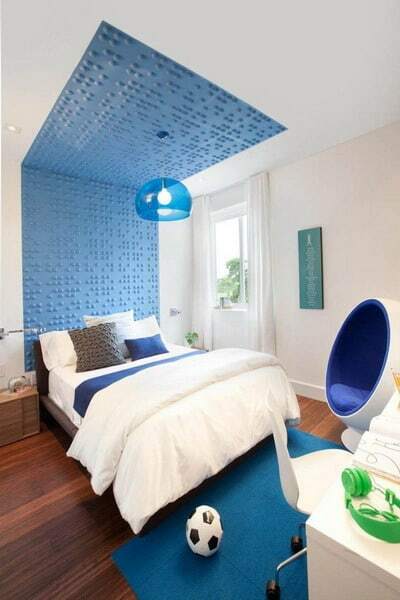 But why limit yourself with the ceiling when its interior decoration can be continued on the walls! This fresh design of the teenage room by DKOR Interiors shows us the ornamental power of a 3D effect wall decoration that continued to the ceiling. The futuristic look is enhanced by Eero Aarnio’s Ball Chair. Aside from being functional, the kitchen backsplash is the perfect blank canvas for eye-catching interior design. 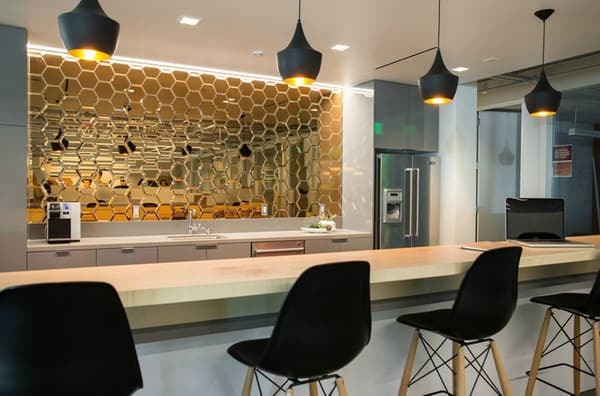 This mirrored credenza by LIFE.STYLE, for example, brings delightful glamor to modern cuisine , thanks to its gorgeous golden hexes. Being on the subject of kitchen interior design, one can not miss a super original 2018/2019 trend. 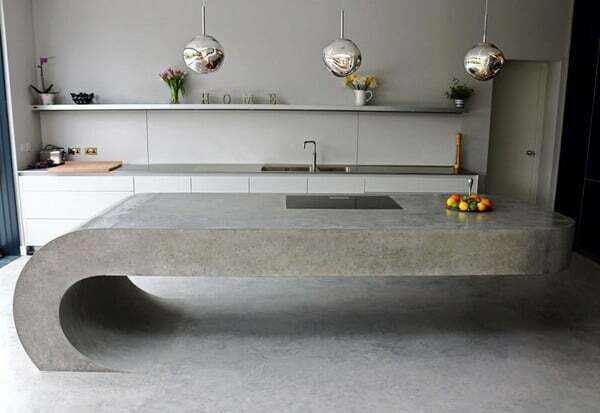 The concrete kitchen island is becoming an increasingly popular addition, especially in ultra-modern and even minimalist kitchens. Aside from being practical, it brings an unexpected detail to the kitchen and distancing banalities. The 2 examples above just seem to defy gravity! The first model is designed by BeauConcrete is seems to come out of the floor in matching waxed concrete. The second example is a work by Corben Architects and showcases the minimalist kitchen cabinets in matte black. What are the trendy textures in interior decoration of the kitchen? 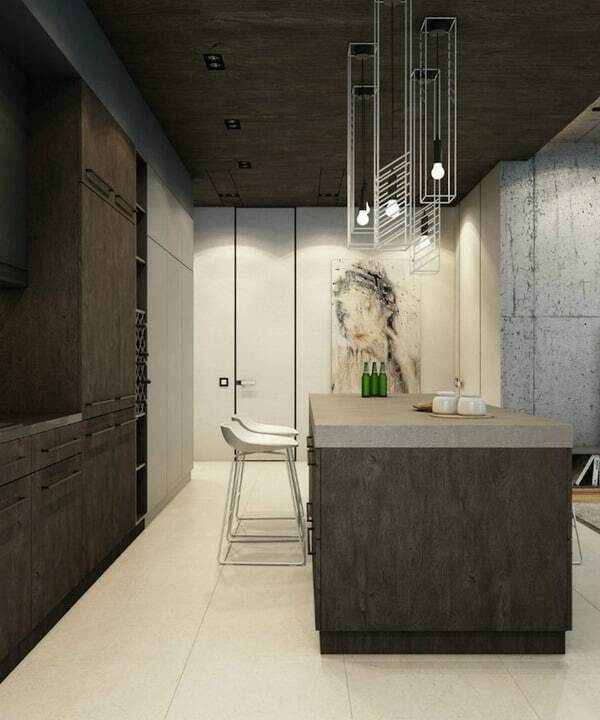 Diego Revollo has reinvented the design of this kitchen in his 360°Apartment in Brazil. He married the gray patterned cement tiles with white kitchen cabinets, an American stainless steel fridge and several glass and wood accents. Here is a reference of successful association of varied textures! 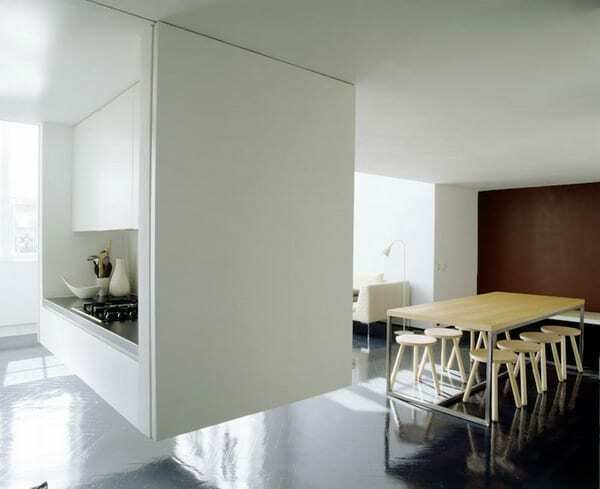 Contemporary studios will no doubt enjoy the practical gain-of-place side that a suspended kitchenette can offer. In this example by Viewport Studio, the floating cube houses gas plates and some cabinets and has a very dramatic and sober aesthetic look at the same time. Obumex shows us how even the ordinary pantry can become a super chic space, thanks to the good interior decoration. 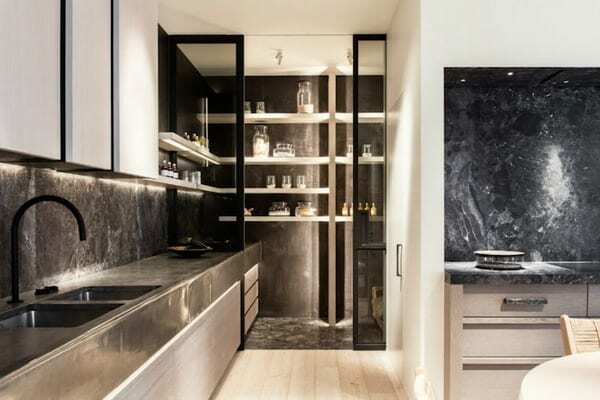 With black-framed glass doors and black natural stone flooring, this recess is more reminiscent of a chic dressing room than a kitchen cabinet. 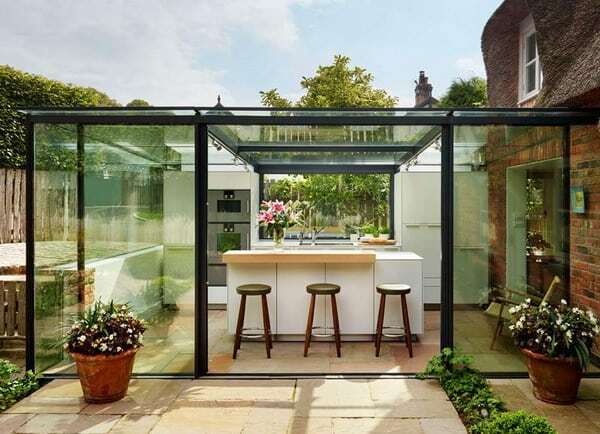 A glazed summer kitchen that makes you dream! Alex Saint of Bulthaup Kitchen Architecture was commissioned to build a modern extension of the kitchen of a traditional English cottage style brick house. The result is a fitted and equipped glass pergola, even housing a central island and a bar! Practical and unpretentious, this summer kitchen is just great! 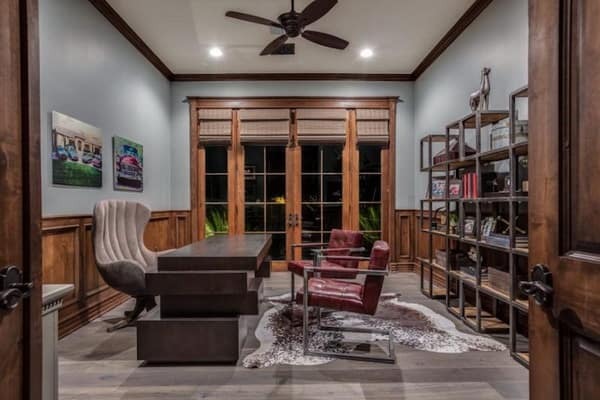 As open spaces are an essential 2018/2019 trend in interior design and decoration, one could not omit the kitchen with dining area. 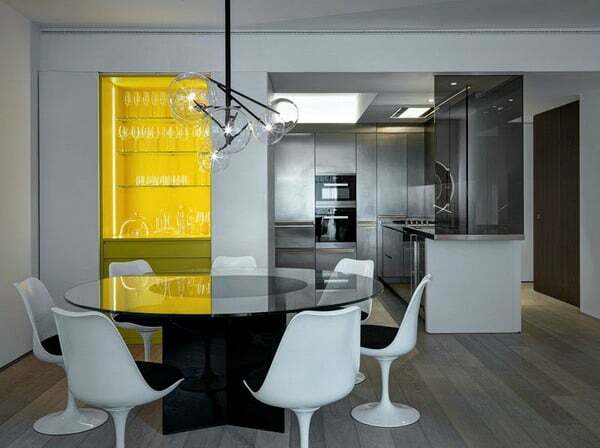 That by Buratti Architects is dominated by stainless steel and off-white with just a pinch of black and yellow smoked glass. 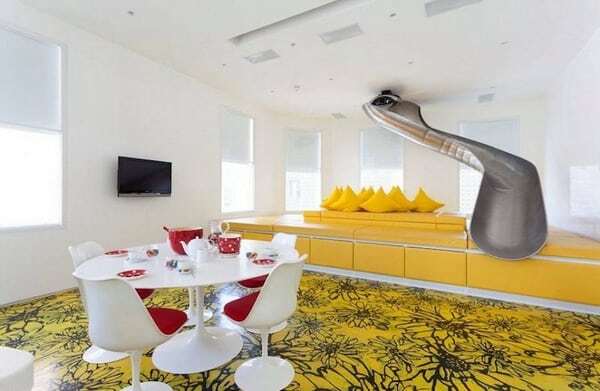 A resolutely modern decor with wow! 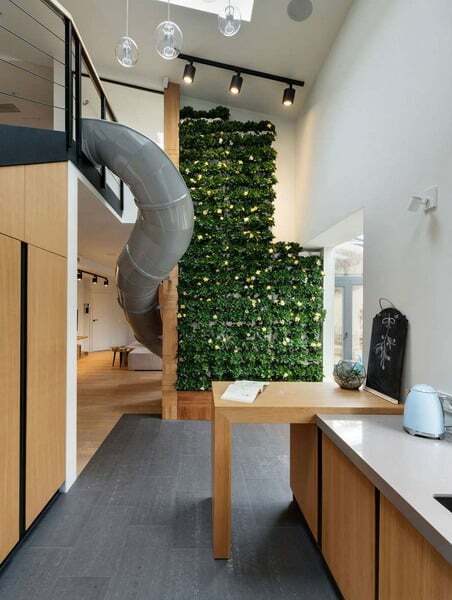 We have already seen the suspended kitchenette, but how about a kitchen pushed on the ground? In interior design, nothing can compete with the original architecture, allowing such exceptional designs. The beautiful white kitchen is in an apartment in Amsterdam and was realized by MAMM Design. 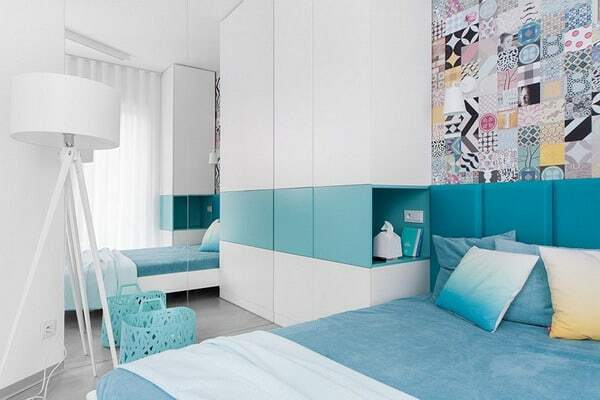 The design of children’s rooms and teenagers allows many fun ideas in terms of furniture and interior design. Whether it’s an unexpected color combination, extraordinary custom furniture or another eye-catching element, she always has something new to offer. 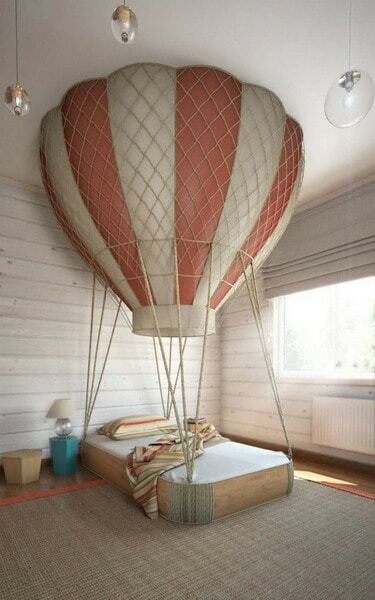 A good example of furniture out of standard is this cot by Anton Saveliev shaped balloon! What more than a magical bed that allows you to explore and promote adventures even while sleeping? The second idea is not less original, nor less entertaining. You do not need to add anything in this room, as your children will never feel bored. 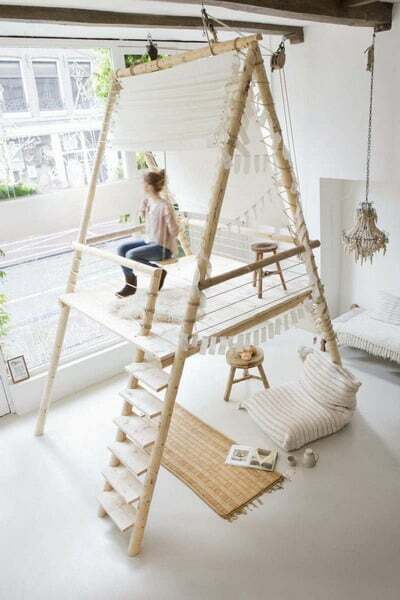 The designers by Sukha Amsterdam have set up a whole fort in the middle of the room! No more children and not yet adults, teens are quite sporadic and capricious. That’s why it’s important to offer them a 2-in-1 rest and entertainment area. 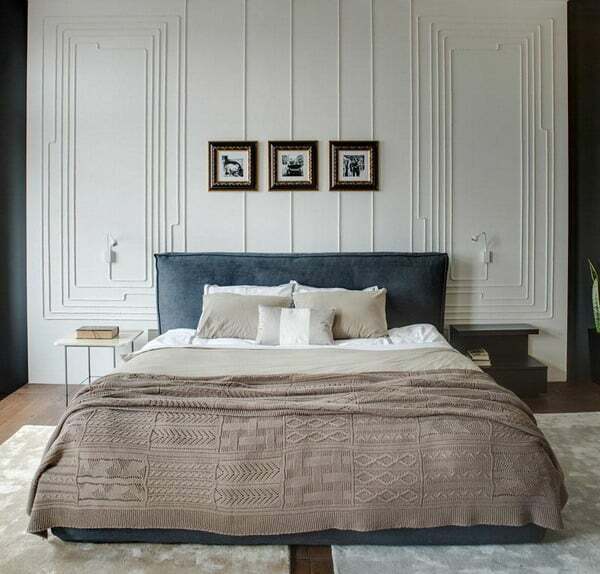 Like this room in pearl gray, anthracite and orange in Moscow that perfectly matches the needs and interests of its occupants. 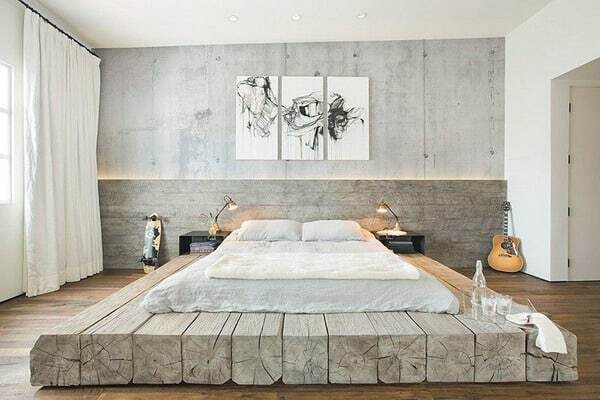 A bed on a platform is unquestionably elegant, but one on massive beams in gray recovery wood looks even more aesthetic! Subu Design Architecture created this unique pedestal, as they believed that sleep is too important to enjoy in a banal bed. 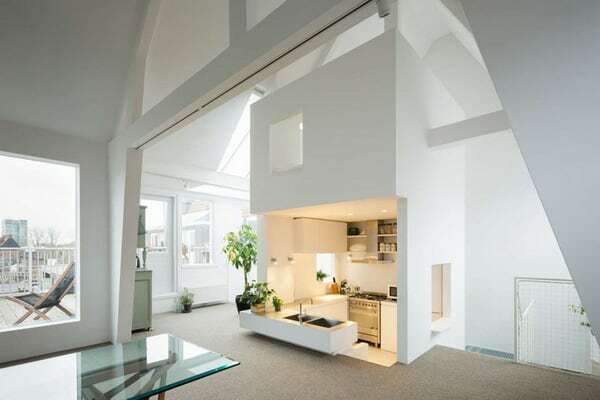 If you find the previous example too rustic for your taste, a bright white platform would be a good alternative. Ultra-modern and chic at the same time, the interior decoration of this room by Carola Vannini in an apartment in Rome, impresses with its luminous platform, reminiscent of a fashion podium! 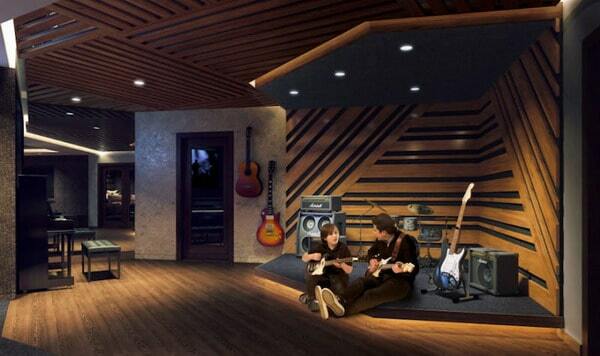 This idea of wall decoration of the bedroom will undoubtedly appeal to all music lovers. 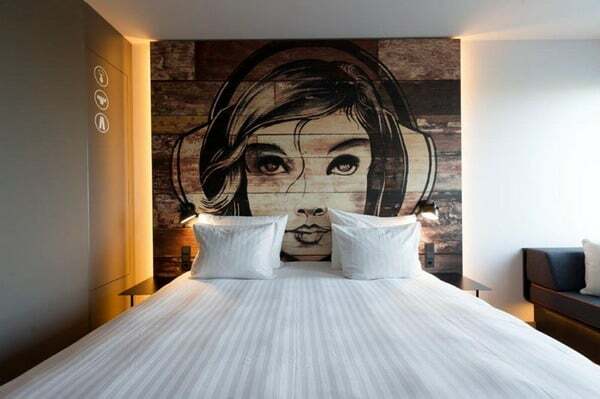 Inspired by the art of music, the JAZ Hotel, located in Amsterdam, has several rooms with double beds and oversized headboards and bright, themed designs. 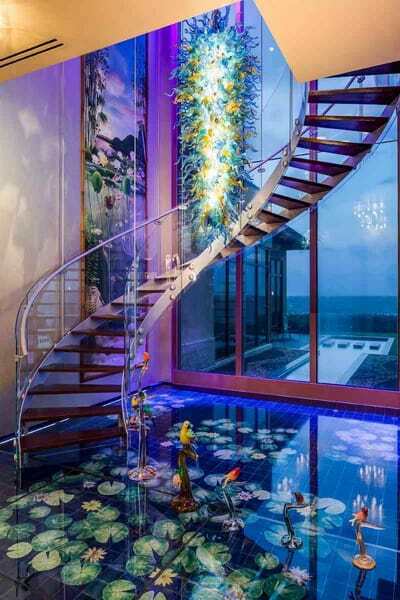 A piece of art and a 2-in-1 interior design element! 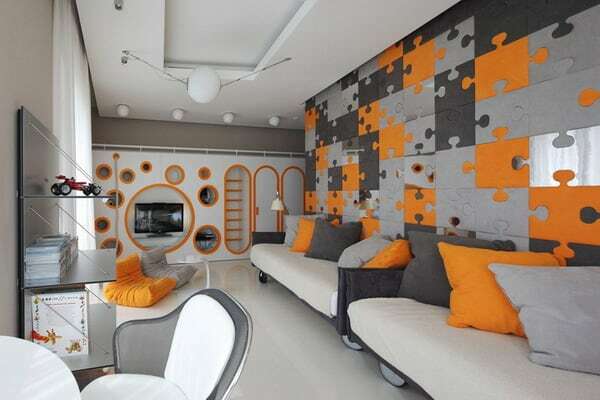 This architect designed apartment in Odessa set up by 2B Group generates multiple ideas for cool designs. However, what impresses most is the interior decoration of his adult bedroom that has taken an unconventional form. The first thing that attracts attention is the decorative moldings on the walls in the form of large square spirals. But when you look closely, it is actually the electric cables bedside lamps that form the rails! And if it’s not impressive enough, the cables continue to the ceiling, from where they feed a set of design suspensions! 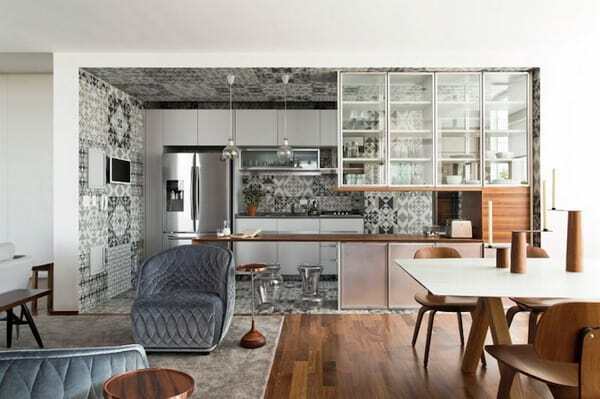 The rest of the photos by Andrey Bezuglov and Slava Balbek reveal the other elements of the interior decoration of the room not to be neglected. 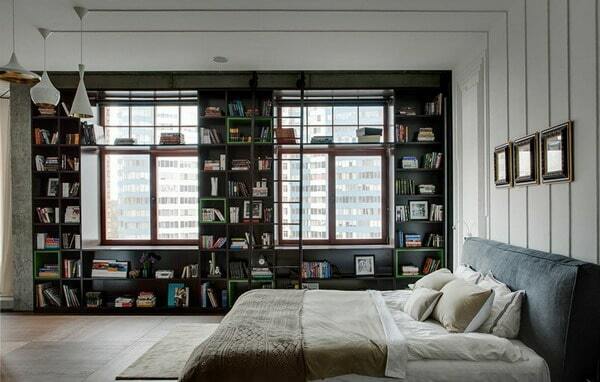 The large cubic bookcase, recessed into the wall around the windows and the dream dressing room are simply wonderful! 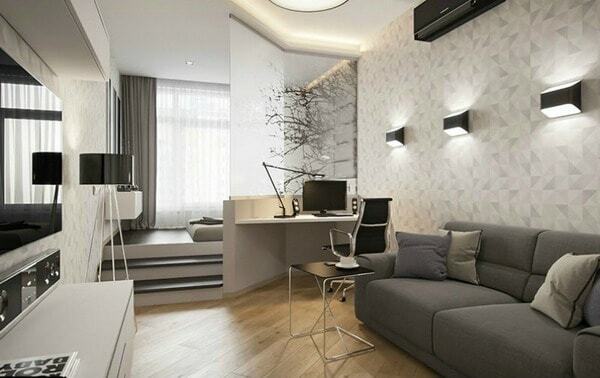 Another design coming from Ukraine is the work of Soesthetic Group which is very different from the previous room. Its interior decoration focuses on creating a soothing atmosphere with exotic touches. 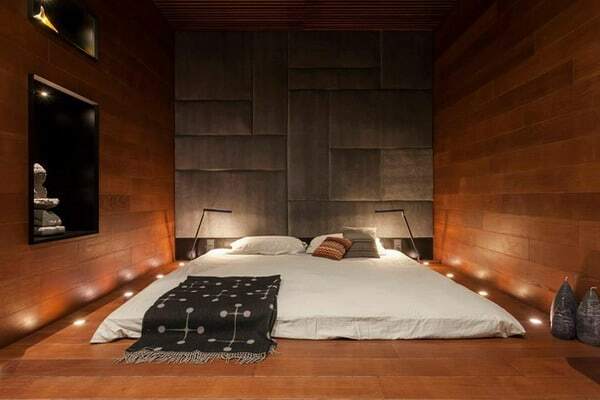 The large mattress on the floor, the abundance of wood, the alcoves and the recessed lighting are the key elements contributing to the atmosphere of rest. And since we all live in castles of hundreds of square meters, Igor Glushan introduces not only an elegant look, but also a practical solution for urban studios. Zoning was carried out by means of a platform and the view was broken towards the chamber without partitioning, thanks to a frosted glass room divider. In an attempt to divide an open space into separate functional areas, the architects Emmanuel Combarel and Dominique Marrec by ECDM, have created something truly extraordinary. Their room suspended between the living room and the dining area is located inside a white cube that seems to float in the air. 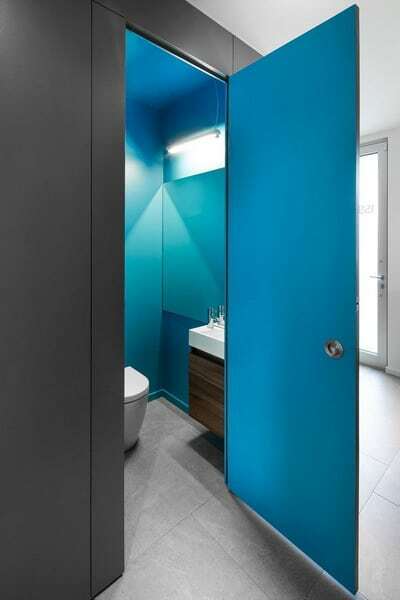 The latest idea about the interior decoration of the small room involves the functional side of things. Good space management and adequate storage are the keys to success, regardless of the room in question or its style of decoration. 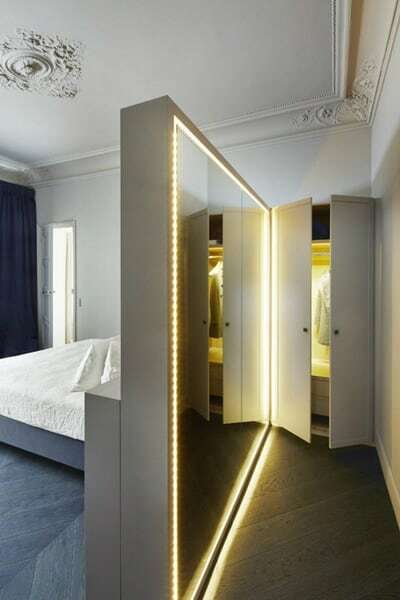 Apartment, designer Sarah Levoine has found a clever solution to incorporate a mini wardrobe to this small chic room. 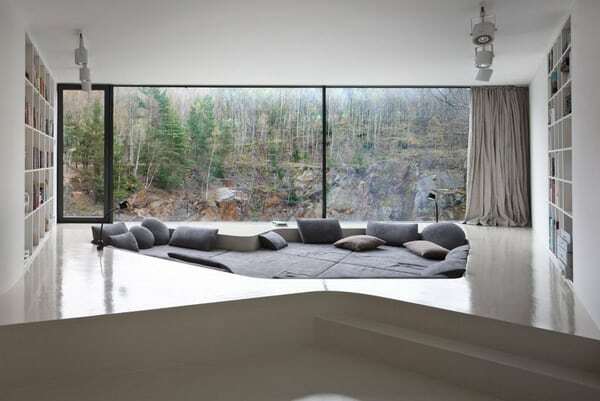 We continue with some attractive ideas on the interior decoration of the living room. 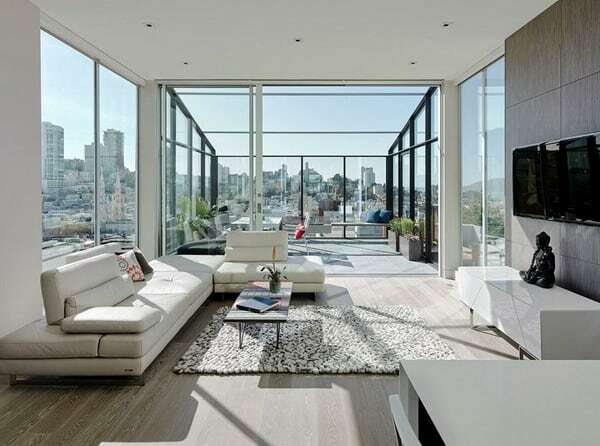 The one above, set up by Feldman Architecture, is part of a penthouse in San Francisco. 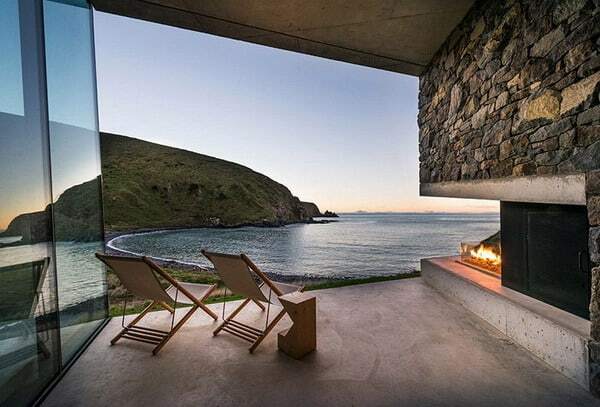 It is not surprising that its design is oriented towards comfort, abundance of natural light and the panorama around. A winter garden within the megacity! As this is the most social room in the house, the show is given special attention. Several things can serve as inspiration to decorate it with good taste. As is the case with this beautiful space by Inside Out, whose interior decoration was inspired by the abstract painting on one of its walls. The recessed seating area of the 60’s is back! The recessed seating areas were very popular in the ’60s. Nowadays they are back, but look completely unexpected and cool. The A69 Architects Studio is the inspired creator behind this salon in a family home in the Czech Republic. A reference of relaxation space and perfect reading corner! 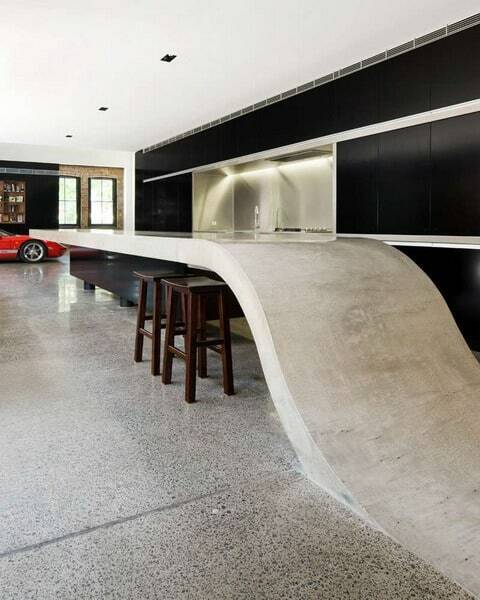 The storage space does not have to be purely functional, but can also look cool. 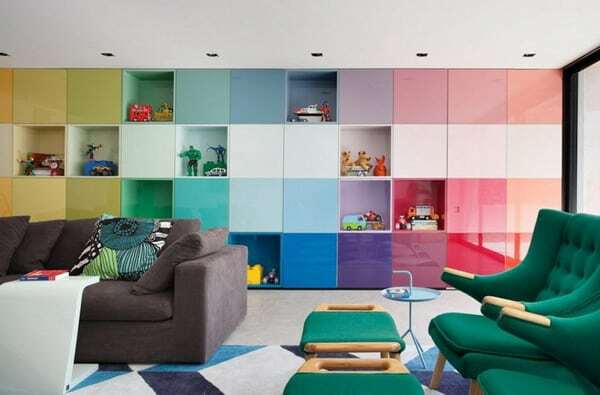 The proof is this set of storage cubes by Studio Guilherme Torres which creates a dynamic rainbow gradient and super fun. Larger than most of our living rooms, this bathroom in white and light wood impresses with its sober and luxurious interior design at a time. The undisputed eye-catcher of this design by Chelsea Atelier Architect is the irregular oval-shaped bathtub, embedded in the floor. But even in the smallest spaces, it turns out that white and wood go hand in hand in interior design 2019! Just take a quick look at this white bathroom by “Who Cares?! Design “to understand that this is a winning option. For information, its forms are inspired by glaciers and icebergs. 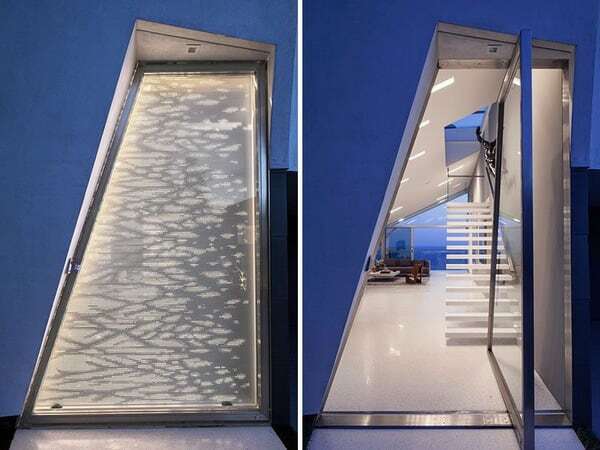 Even the laundry chute can look and look futuristic!